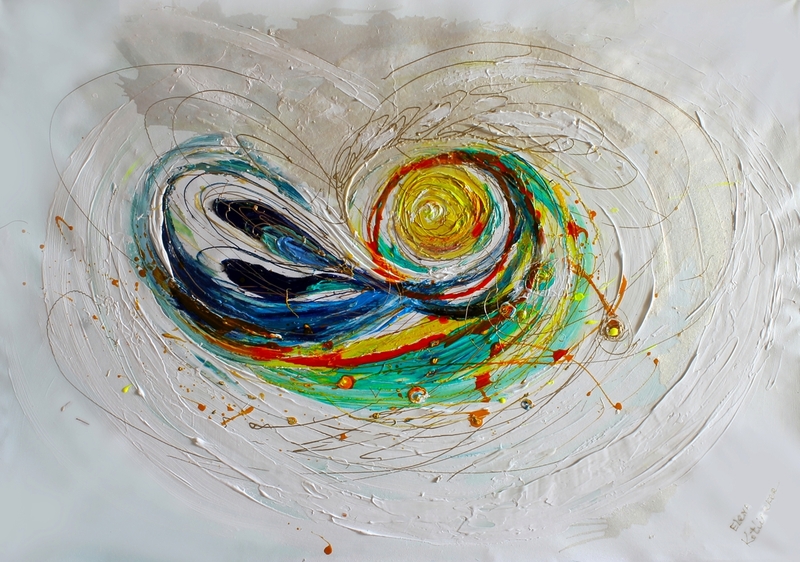 Each "Pure Abstract" series composition emblemizes eternity, majesty and cosmic rebirth. It is a deeply personal, sensitive and quixotic creation that symbolizes the universal aspiration for continuity and balance. * Wall size: 38" x 27" (97 X 70 cm). 5" x 7"7" x 10"9" x 12.75"11" x 15.75"13" x 18.5"14" x 20"